Microsoft Report Viewer 2015 to run reports that use RDLC report layouts. SQL Server Report Builder 3.0 for Microsoft SQL Server 2014, Microsoft SQL Server 2012 SP1, or Microsoft SQL Server 2012 to edit RDLC report layouts. Microsoft Word 2013 or later to edit the layouts. Microsoft Lync 2013 or Microsoft Lync 2010. Microsoft Office 2016, Microsoft Office 2013 Service Pack 1 (SP1), or Microsoft Office 2010 Service Pack 2 (SP2). Microsoft Office 2016, Microsoft Office 2013 SP1, Microsoft Office 2010 SP2, or Microsoft Office 365. Microsoft Office 2016, Microsoft Office 2013 SP1, or Microsoft Office 2010 SP2. Active Directory and Microsoft Exchange Server 2010 or Microsoft Exchange Server 2013. Microsoft Dynamics NAV 2016 Setup can only install the Excel Add-in if Excel is present on the target computer. Microsoft Visual Studio 2012 Professional, Premium, or Ultimate edition. Microsoft Visual Studio 2013 Professional, Premium, or Ultimate edition. SQL Server Report Builder 3.0 for Microsoft SQL Server 2014, Microsoft SQL Server 2012 SP1, or Microsoft SQL Server 2012. SQL Server Report Builder 3.0 for Microsoft SQL Server 2014, Microsoft SQL Server 2012 SP1, or Microsoft SQL Server 2012 to upgrade reports. Word 2013 to create Word report layouts. The following table shows the minimum system requirements for the Microsoft Dynamics NAV 2016 Web client. Identical to the Microsoft Dynamics NAV 2016 Web client. Internet Explorer 11 (build 11.0.9600.17239) for Windows 8.1 (32-bit and 64-bit versions) and for Windows 10. A third-party telephony or VoIP app such as Skype or Lync is required for placing calls from Microsoft Dynamics NAV. A third-party email program such as Outlook is required for sending emails from Microsoft Dynamics NAV. Microsoft Office 2013 SP1 or Microsoft Office 365 is required for sending data to Microsoft Excel or to Microsoft Word. Internet Information Server 7.5, Internet Information Server 8.0, Internet Information Server 8.5, or Internet Information Server 10 depending in the operating system, with the required features enabled. To avoid crashes on the IIS server with many concurrent users, download and install the update from here Update for the .NET Framework 4.5 in Windows 8, Windows RT, and Windows Server 2012. The following table shows the minimum system requirements for Microsoft Dynamics NAV 2016 database components for SQL Server. For more information, see Hardware and Software Requirements for Installing SQL Server 2014. From this page, you can access requirements for other versions of SQL Server. Microsoft SQL Server 2012 Service Pack 2 Express, Standard, or Enterprise (64-bit editions only). SQL Server 2012 SP2 Express (64-bit edition). If the operating system on the target computer does not support SQL Server 2012 SP2 Express, Setup displays a pre-requisite warning. In this case you should exit Setup and then update the operating system on the computer to one that does support SQL Server 2012 SP2 Express. Then run Setup again. The following table shows the minimum system requirements for the Microsoft Dynamics NAV 2016 Help Server. Internet Information Server 7.5, Internet Information Server 8.0, Internet Information Server 8.5, or Internet Information Server 10, depending on the operating system, with the required features enabled. Windows Search must be enabled on the computer that you install the Microsoft Dynamics NAV Help Server on. If you install on Windows Server 2012, and Windows Search is not enabled as a file service, Microsoft Dynamics NAV 2016 Setup adds the service. However, the changes do not take effect until the computer has restarted. The following table shows the minimum system requirements for Automated Data Capture System (ADCS) for Microsoft Dynamics NAV 2016. The following table shows the system requirements for the Microsoft Office Outlook Add-In. Microsoft Office 2016, Microsoft Office 2013 SP1, or Microsoft Office 2010 SP2 (32-bit edition). The following table shows the system requirements for integrating Microsoft Dynamics NAV with Microsoft Dynamics CRM. Microsoft Dynamics CRM Online 2015 Update, Microsoft Dynamics CRM Online 2015 Update 1, or Microsoft Dynamics CRM 2015. The following table shows the minimum system requirements for Microsoft Dynamics NAV as an App for SharePoint. Automated deployment of Microsoft Dynamics NAV 2016 on Microsoft Azure by using the provisioning tools is only supported on Azure virtual machines that are running Windows Server 2012. 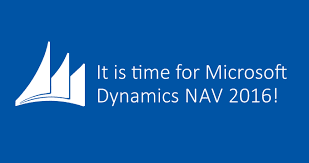 For additional requirements for specific Microsoft Dynamics NAV components, refer to the other sections in this topic. Please do subscribe to our newsletter to get updated with every post without a miss.